If you are looking for something unique and different to add to your Silverado, this is the kit you want. 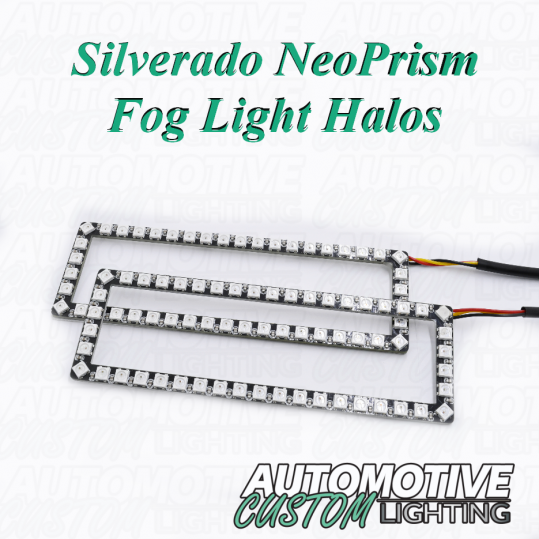 This kit fits the Chevrolet Silverado FOG Lights. With the NeoPrism style LEDs it gives a unique never seen before custom look on your vehicle. Professional installation recommend. . Do not cut or alter the halo ring as it will void the warranty. If you would like any more information please contact us via Contact Form or at sales@automotivecustomlighting.com. We also do Professional installation of these kits as well, contact us to make arrangements. 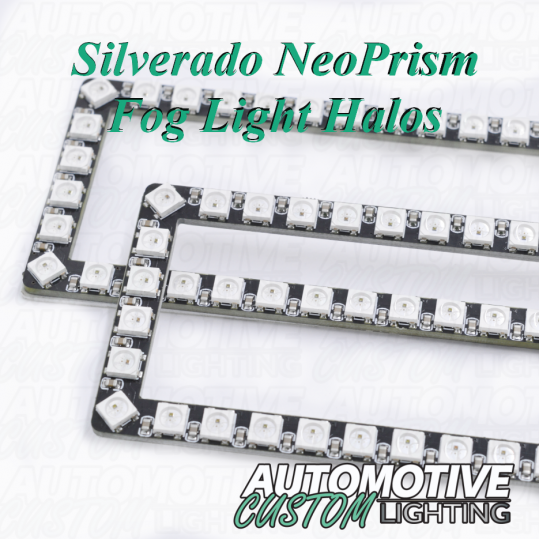 4) INCLUDES 2 FOG Light HALOS (You will need to purchase 12v-5v converter, remote and wiring if you are not adding on to existing system.